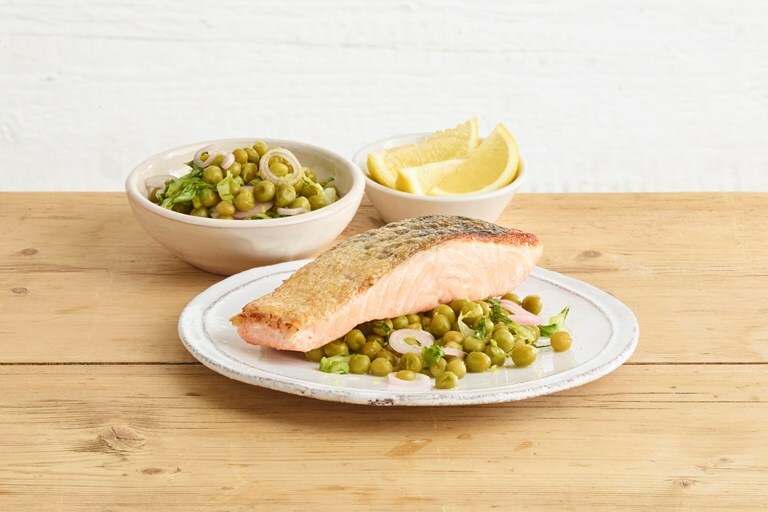 This pan-fried salmon recipe is served with a vibrant pea and shallot salad. Baby gem lettuce, peas and shallots are quick-pickled as the salmon cooks, and the salad is finished off with fresh mint and lemon zest. This light and healthy dish makes a perfect lunch or light summer supper.